LIVINGSTON Noel B. 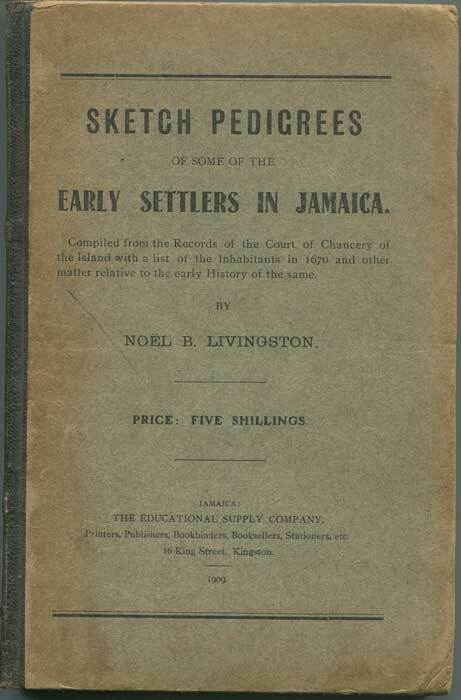 - Sketch Pedigrees of Some of the Early Settlers in Jamaica. Compiled from the Records of the Court of Chancery of the Island with a List of the Inhabitants in 1670 and other matters relative to the early History of the same. 139pp + iv. 1st ed., toning to end papers and title page otherwise clean in original boards.Very scarce.